We’ve just released a new version of the Web Clipper, and it’s going to help you create your interior design mood board faster and more efficiently than ever before. 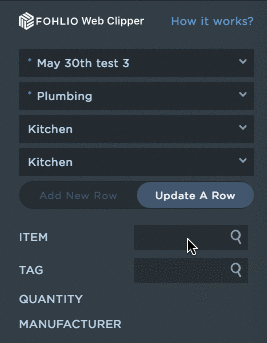 With our new update, you don’t have to go back to your spreadsheet to see what’s next on your place holder list, or edit your place holder lists manually. 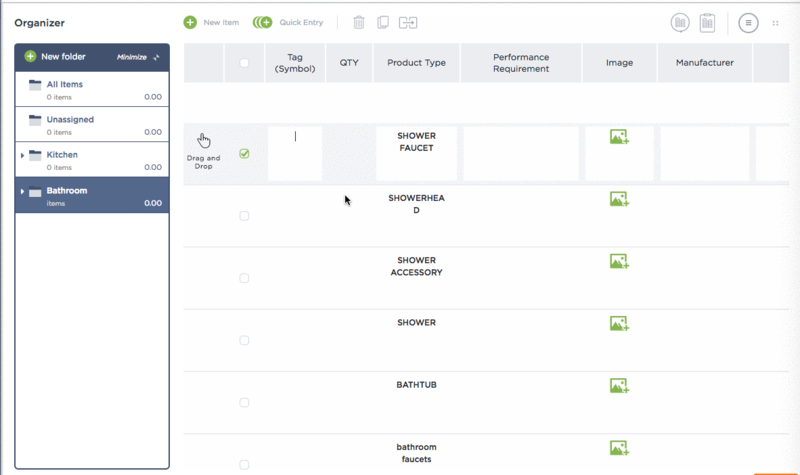 Look them up with the Product type or Tag field in Fohlio web clipper, and update it with real product info right from the web. Second, Update an Existing Item. Ever find out you needed to grab more information from the product site than you thought? Click on the URL link at Fohlio Dashboard, and it will re-direct you to the page where you found it. Make any edits you need, hit submit, and your dashboard will have everything updated in real-time. You can even add a new row of the same product with different finish options! Ready to create your client presentation? Just hit “mood boards” on the left, click “new mood board,” and conveniently grab the product images listed on the right. Told you it was easy! As a bonus, here are a few pointers on how to make beautiful and effective mood boards. Like this? We’ve got more tips for you! Here are six ways to make ff&e specification faster and easier. You can also read up on how to differentiate your design-build services from designers and contractors, and how to stand out from other design-build firms.